Nothing will ruin your dream vacation more than suffering a serious injury while you are visiting a hotel. 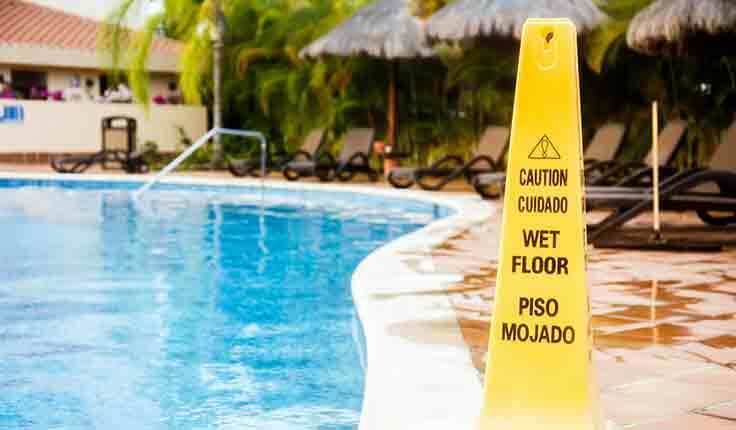 Whether it is a slip and fall in the pool area, an assault on hotel grounds, or a pedestrian accident in the parking lot, many different types of accidents can happen on hotel property. When hotel guests get hurt because of the negligence of the hotel either in maintaining the property in a safe manner, or in not providing adequate security, the hotel may be held liable for guests’ injuries and losses. At Yeboah Law Group, our Fort Lauderdale premises liability lawyers fight for your right to fair compensation when you have been injured on hotel property. We are attentive to our clients’ needs and we hold the responsible parties accountable when a hotel guest suffers a serious injury. What are some common causes of injury at hotels? Before they can welcome guests and visitors to their property, hotel owners have a duty to inspect the premises and make sure that they have eliminated all of the foreseeable hazards to guest safety. If they identify a hazard that needs to be repaired, they are required to post signs warning guests to be aware of the hazard. If it is a natural hazard that they cannot eliminate, they are also required to post warning signs about possible dangers. Hotel management cannot possibly protect guests from every form of harm that might possibly befall them while they are on the property, but when the accident was caused by negligence on the part of the hotel, or due to a hazard that hotel management should have foreseen they may be held liable for a guest’s injuries and losses. To prevail in a legal action against the hotel, the injured person (plaintiff) has a few legal hurdles to overcome. They would have to prove that the hotel had a duty to protect them as a guest from foreseeable harm, that the hotel breached that duty resulting in their injury, and their injury caused specific damages. Damages is a legal term for things such as medical bills for your injuries, lost time at work, the pain and suffering that the injury caused you, etc. How might a Fort Lauderdale premises liability attorney help when I have been injured at a hotel? A skilled premises liability lawyer will help you by preparing a compelling case on your behalf. Your attorney will investigate the incident and gather the evidence necessary to prove the hotel’s liability for your injury. Our premises liability lawyer will also gather your medical records, medical bills, proof of your lost wages from your employer, photos or video of the scene, witness statements and any other evidence that will bolster your claim. An injury serious enough to require medical attention and lost time from work is likely serious enough to benefit from the knowledge and skill that an experienced Fort Lauderdale personal injury attorney from Yeboah Law Group has to offer. Going it alone virtually guarantees that you will be taken advantage of by the corporate attorneys who protect the interests of the hotel. You need someone on your side protecting your interests and fighting for the compensation you deserve. Was your vacation ruined because of an accident caused by the negligence of the hotel property owner? Is your hotel accident causing you to lose work while medical bills pile up? Our skilled premises liability attorneys are here to obtain justice on your behalf. 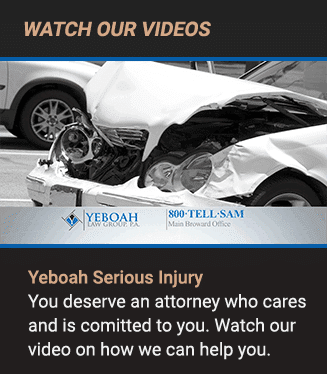 You are encouraged to contact Yeboah Law Group to discuss your case and discover how you might seek compensation for your injuries and other losses. You can call us at 1-800-TELL-SAM or complete our contact form to schedule a free consultation. We serve clients in Fort Lauderdale and throughout South Florida.